This is the last week of our "Under the Sea" challenge. 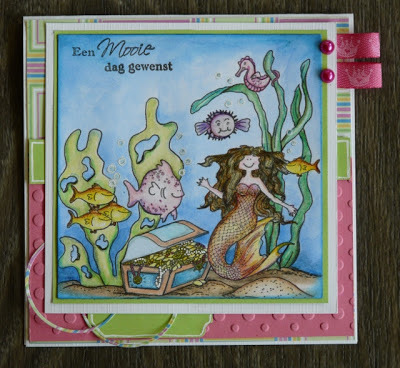 Our sponsor for the month has been Eureka Stamps plus I have a cute little sea bottom stamp to give away as well. You can jump right to mr. linky here. Today I have wonderful email creations to share as well as the wonderful Design Team inspiration. These next two cards are from Camping Barb. I first met Barb at the Savanna Retreat in Illinois in 2012. This is the same great lady that taught me the encaustic technique. 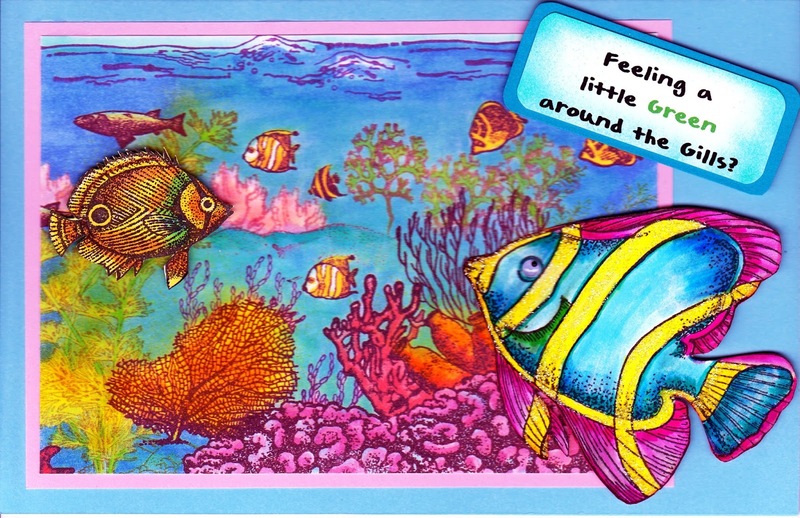 Now it is your turn to show us your own wonderful "Under the sea" scenes. 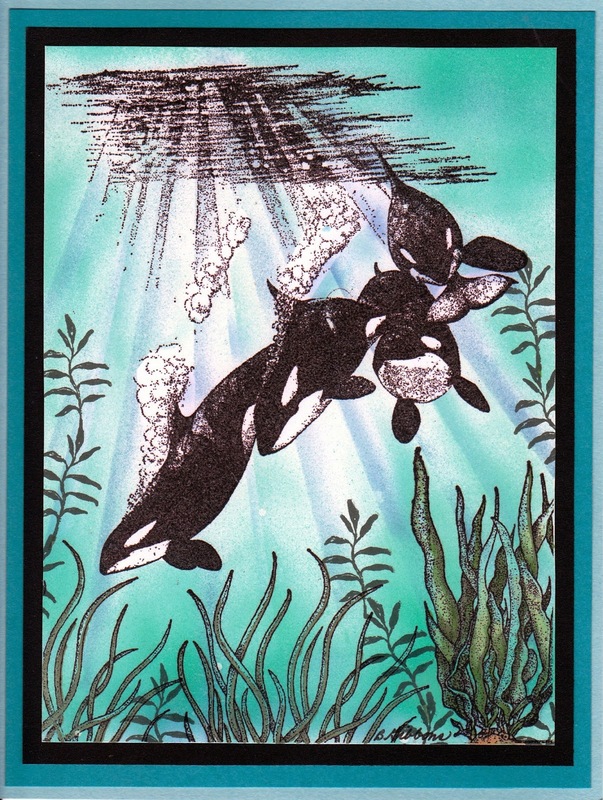 Please make sure your creations are finished projects like cards and tags and that the scene is focused on images under water. beautiful cards have you made with this theme. but I want to mention that your first card is fantastic. wow what a bright colours and depht, amazing card with the fish and different plants!! the second have you do the lightfall very good!! Two stunning cards Barb, I love the colour in the first card, and the beauty of the orca's in the second. So great you could join in this month Barb.